DAILY REFERENDUM: Gordon Brown apologises - well, sort of. 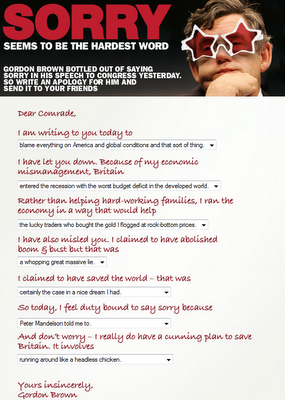 Gordon Brown apologises - well, sort of. Followed you here from the Tom Harris blog. for a few recommendations on what to do about single mums.